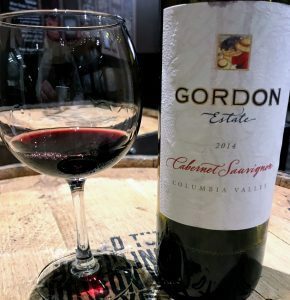 A few quick thoughts on the 2014 Gordon Estate Cabernet Sauvignon from the Columbia Valley. The roots of Gordon Estate date back to 1980 when brothers Jeff and Bill Gordon followed the suggestion of Dr. Walter Clore, the Father of the Washington wine industry, to plant grapevines on a south-facing slope east of Pasco that overlooked the confluence of the Snake and Columbia Rivers. A winery was up and running by 1983 and today Gordon Estate is one of the oldest family owned wineries in Washington that focuses on estate grown fruit. 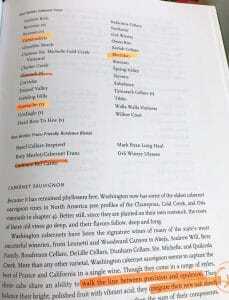 Paul Gregutt notes in Washington Wines, that during the early years of the vineyard, Gordon would sell some of their grapes to esteemed wineries like Leonetti, Woodward Canyon, Dunham, L’Ecole 41 and Waterbrook but as their production grew the winery eventually began keeping all their estate fruit to themselves. Since Bill Gordon retired in 1998, Gordon Estate has gone through a succession of winemakers that have included Marie-Eve Gilla (now of Forgeron), Tim Henley (formerly of Pine Ridge in Napa), Tyler Tennyson (now with Dunham) and, since 2016, Hillary Sjolund who is heading the winemaking team as part of Charlie Hoppes’ Wine Boss consulting firm. The 2014 Cabernet Sauvignon was aged 18 months in a combination of French and American oak barrels. Around 3900 cases were made. Medium intensity. 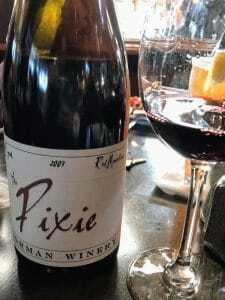 A mix of black fruits and tobacco spice. Around the edges there is a little black licorice spice as well. Plenty of black currants and tobacco spice in this textbook Washington Cab. On the palate those dark fruits become more defined as cassis and blackberries. The tobacco spice also come through but brings a leafy green element underneath that is intriguing. Medium acidity and medium-plus tannins amply balance the fruit. Moderate length finish. 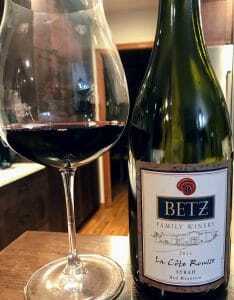 This is a well made wine that seems to fluctuate in price quite a bit from $16 up to $30. 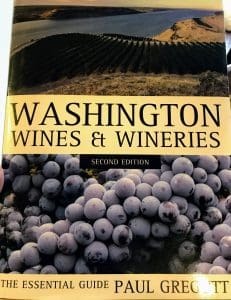 In my opinion, this is a very solid Washington Cab in the $20-25 range so this can be either a great deal or just okay in value. Tagged Cabernet Sauvignon, Charlie Hoppes, Columbia Valley, Dunham, Forgeron, Gordon Estate, Hillary Sjolund, L'Ecole, Leonetti, Marie-Eve Gilla, Paul Gregutt, Pine Ridge, Tim Henley, Tyler Tennyson, Walter Clore, Washington Wines and Wineries, Waterbrook, Wine Boss, Woodward Canyon.